With so many books, articles, newspapers, pamphlets and emails out there, how are you supposed to choose what to read? To help you out a little, here are my recommendations. Sapiens is a much talked about book recently, appearing on numerous reading lists. This is not without good reason. Harari takes us on a rapid ride through the history of humanity as he explores the impact homo sapiens have had on the world, the narratives and myths that have come to define us – including religion, politics and economics – and ponders what the future may hold as we have now acquired the ability to design the world in which we live. I am a proponent of collaborative consumption (or the sharing economy) and this is the book that first put the idea into words. 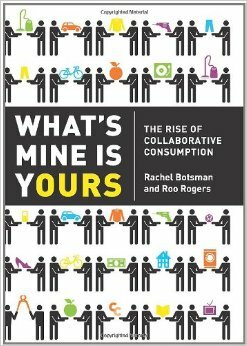 What’s Mine is Yours explores the effect that the collaborative movement it having on the way we consume products. This is a must-read for anyone sick of owning as much “stuff” as possible. How many times have you said, or heard, the words, “I couldn’t do that, I’m not creative,” or something to that effect? The fact is you are, no matter what you think. 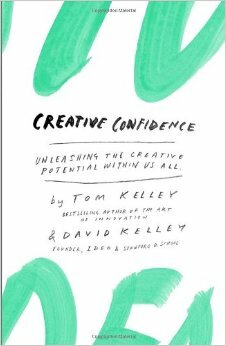 Tom and David Kelley, from leading innovation consultancy IDEO, maintain that everybody is creative, some people just lose the confidence to believe it somewhere along the way. Creative Confidence uses inspiring tales of unexpected creativity to convince its readers that they have that creativity in them somewhere too. It’s a fascinating read. If you have got a suggestion for a book that you think I, and your fellow readers, should get their hands on I would love to hear about it! Post your ideas in the comments below.